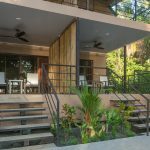 Would you like to vacation right on the beach in Manuel Antonio? 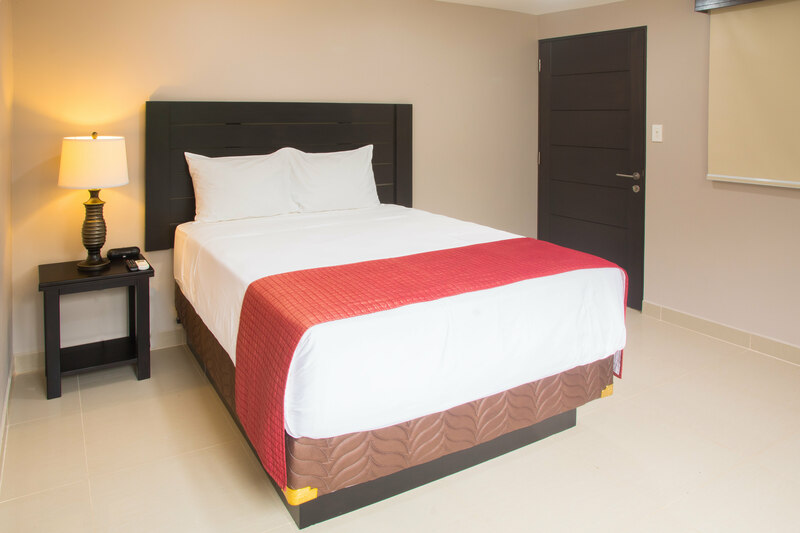 Then we would like to introduce you to Tulemar’s newest partner hotel, Buena Vista Beach Villas! Imagine being just 100 steps from the ocean on a quiet stretch of beautiful mile long Playa Espadilla! 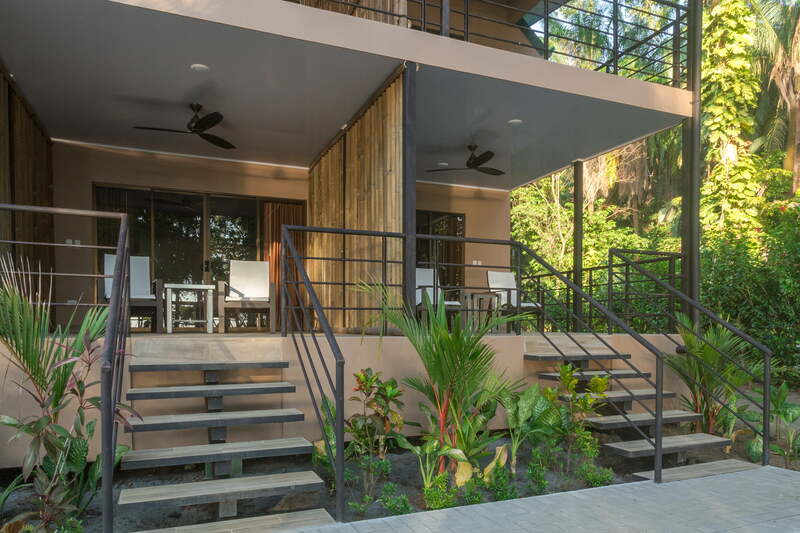 Oceanfront views abound from many places on the property, and the best part is you are in the heart of Manuel Antonio. 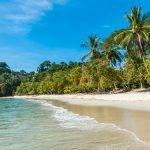 You can walk to the Manuel Antonio National Park along the beach in a short 10-15 minutes. 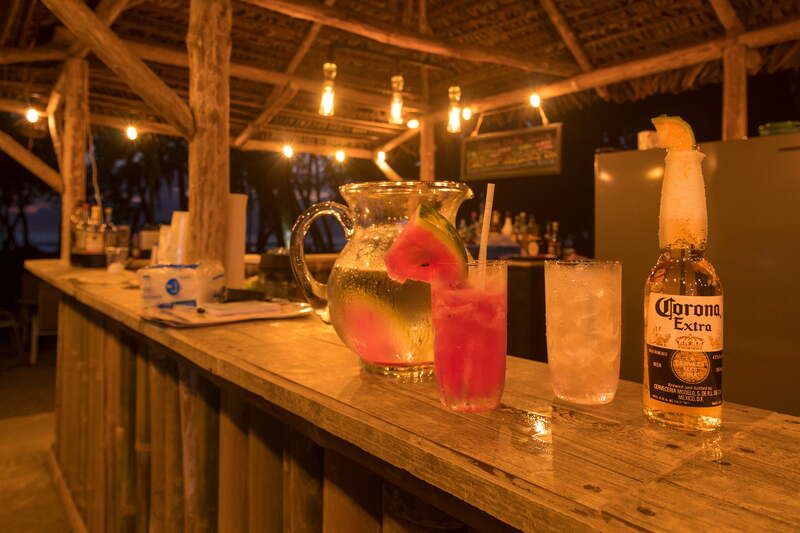 Sit at the unique outdoor dining area with lighted umbrella tables and tiki bar, staffed by some of the best bartenders and waiters in all of Manuel Antonio, and enjoy the wildlife right in front of you, or relax directly on the beach in your own comfortable lounge chair and umbrella listening to the continuous sounds of the ocean just steps away with full beverage and food service. The sunsets are pure Pura Vida! 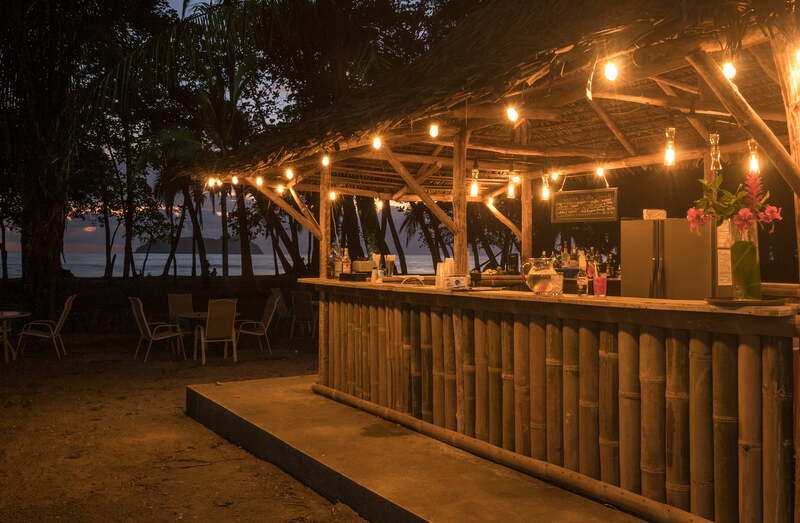 At night, ask for a table on the beach. Can you imagine a better experience? Enjoy the beach toys, including, specially designed beach bikes, boogie boards, surfboards and paddle boards, all there for your use. And when you get hungry, the onsite restaurant serves breakfast, lunch and dinner, for your dining pleasure. Feel like getting out and about? Manuel Antonio’s many famous restaurants are all within a 3-5 minute taxi ride. 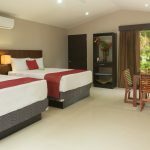 From every angle, you will find an astonishing view of Playa Espadilla and the rain forest that comes right down to the beach. 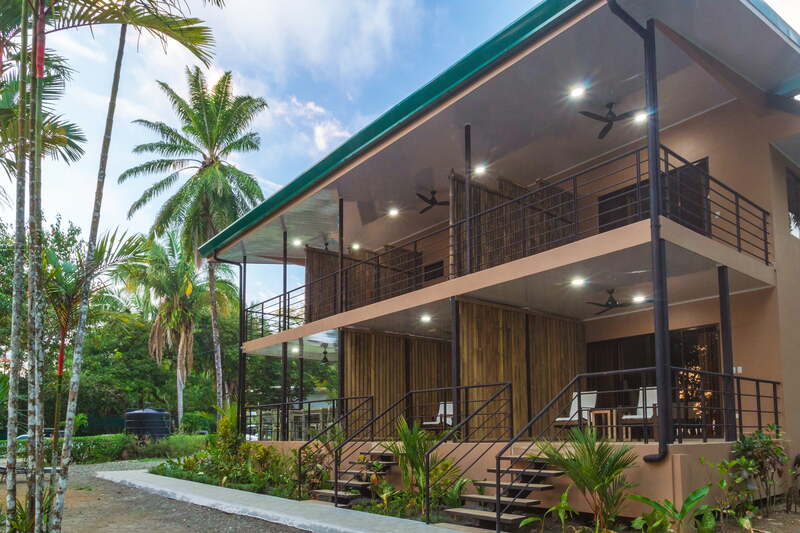 This unique oceanfront boutique hotel has only eight rooms and includes one suite. 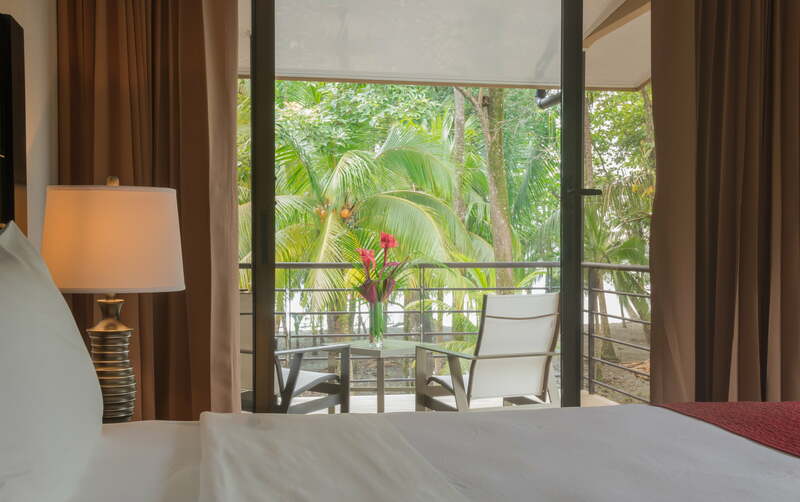 Five of the rooms have a direct ocean view with patio decks while the other three have garden and jungle views. 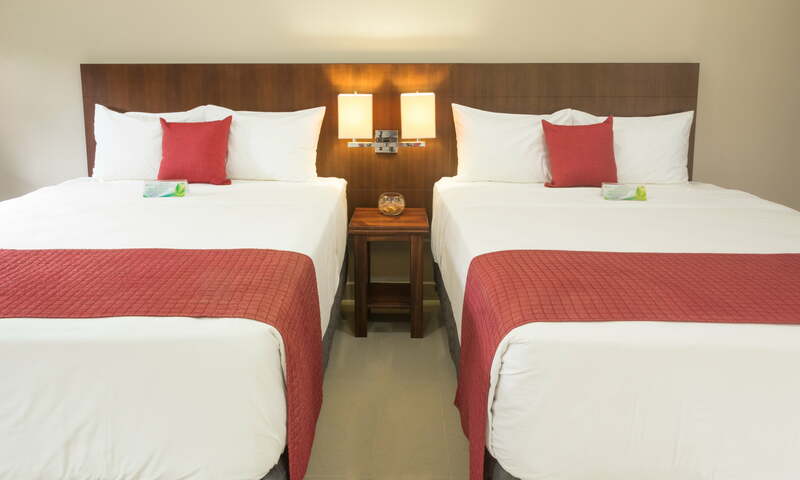 There is a selection of king & queen bed accommodations, all very comfortable, with high-end linens, towels and Italian botanical amenities. 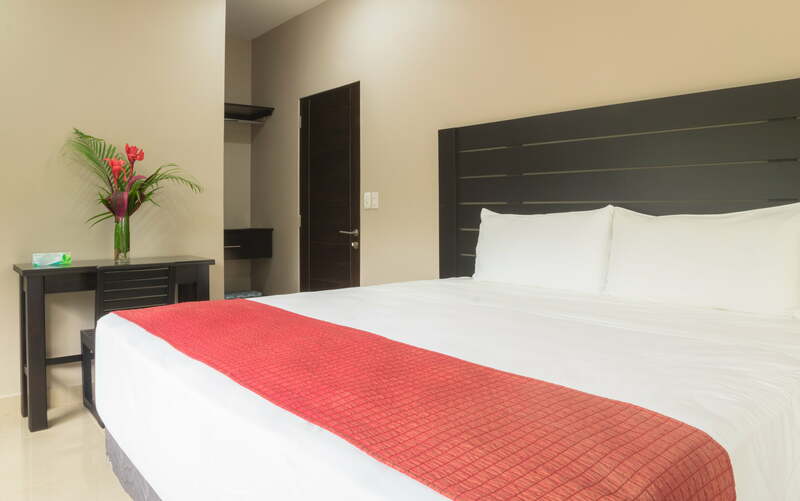 And of course, free in-room cable TV and Wi-Fi throughout the property. First of all there isn’t many hotels “on” the beach in Manuel Antonio. This hotel is nestled right in the sand and only has 8 units so it’s very private. It has a beach bar and restaurant so it does get busier during the day. I was greeted by Michael who spoke perfect English and helped me check in. During the day the hotel has lounge chairs and umbrellas on the beach. Nico served me mojitos on the beach and you can have food from the restaurant delivered to you on the beach as well. Danny made the best watermelon mojito I ever had. The service here was impeccable. All of the staff were friendly and helpful. My husband and I went fishing and brought back tons of tuna. The cook was awesome and cooked it up for us every night. 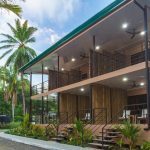 This place is more pricey than other hotels but worth every penny! Pura Vida! I stayed at Buena Vista for just over five weeks and when driving out of the parking lot, I teared up a bit as I felt like I was leaving behind family. The hotel, restaurant and bar have the friendliest, genuine and most helpful staff of any place I’ve ever stayed. 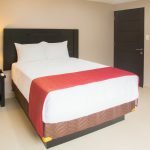 No, it is not a 5-star facility, but it is 100 feet away from the high-water mark of one of the most beautiful beaches on the Pacific coast of the Americas. 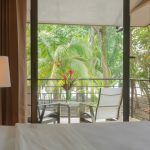 There are no vantage points from the front of the hotel that you cannot see the ocean though palms and other large tropical trees that shade the property. As a guest, you get free chairs and umbrellas on the beach placed per your preference. 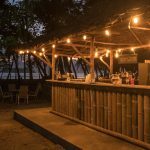 Additionally, there is food and beverage service on the beach from the hotel’s bar and restaurant. The facility itself, it is far more than just adequate. 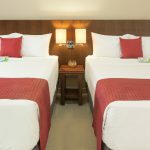 I extended my stay and was in 3 different rooms and I had no problems with any of the rooms. 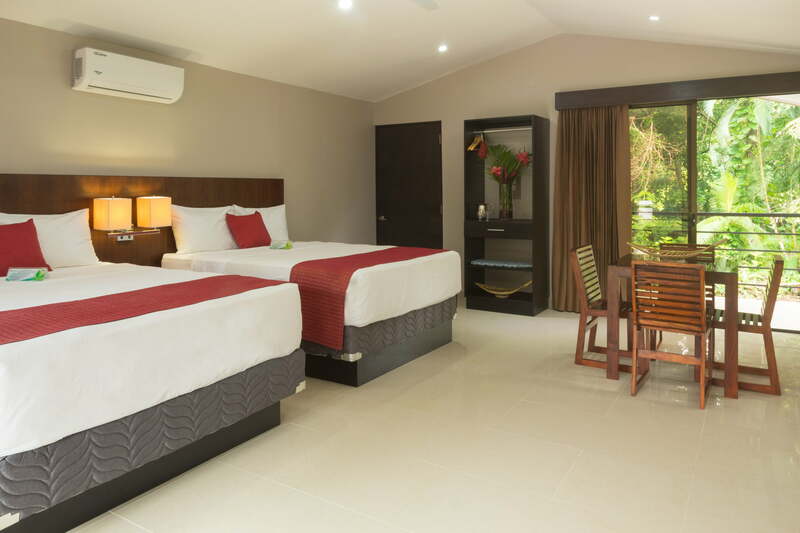 The beds are very comfortable, and the bathrooms are spacious and function without problems. 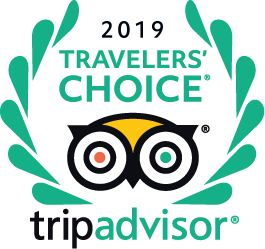 The restaurant has a very good menu and I consistently had excellent meals. The chef and staff go out of their way to meet your dining requirements. 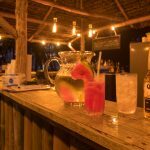 The tiki bar at the center of the property is often full of much laughter but also the busy bartenders share information about Manuel Antonio and the surrounding area. We stayed for 4 nights in room 802 which was upstairs with a large patio. It looked like rooms 800 & 801 were probably same size & also had patios. We were thrilled with our choice of accommodations. The location could not be any better. It is literally on the beach. To us, having easy beach access without having to drive or take the bus was really important. Yes it probably cost more than the many places up the hill, but we wanted to be on the beach, not just have a view. We didn’t come to Costa Rica to swim in a pool. The room was very well appointed, very comfy mattress, tv, WiFi. 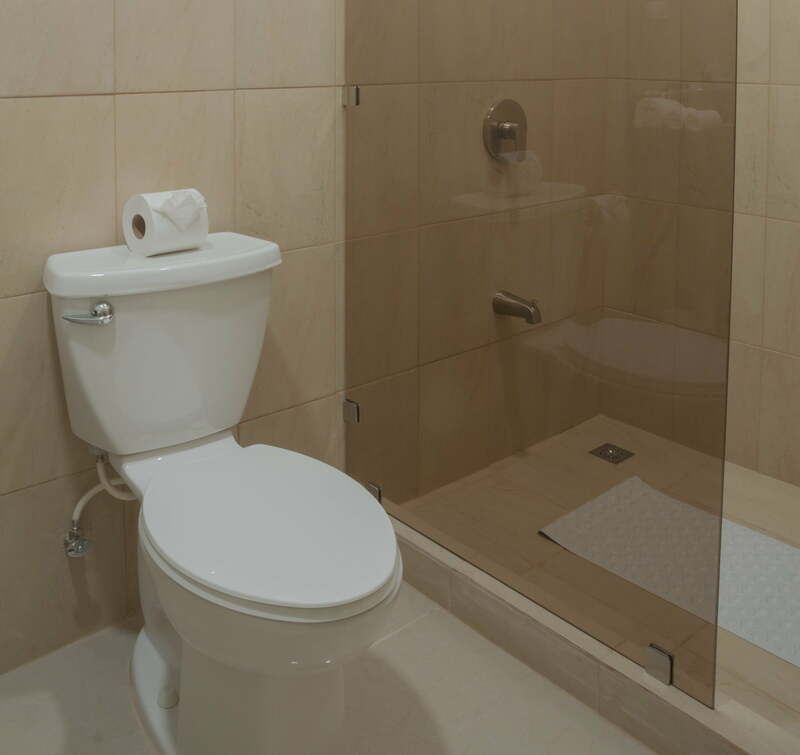 The bathroom is on the smaller side but very modern & clean. FYI the rooms upstairs can only be accessed by stairs, no elevator. The bar / restaurant was pretty good, we had dinner there a few times. The beach chairs / umbrellas on the beach are very convenient. 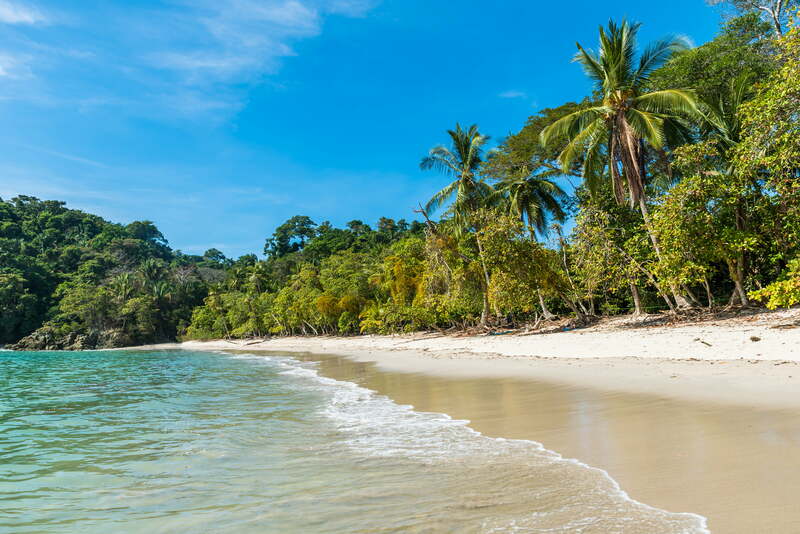 This is a very quiet stretch of the beach, but if you walk for 5-7 minutes towards Manuel Antonio park there are many companies renting beach chairs/ umbrellas. There are also plenty of vendors offering parasailing, surfing, horseback riding, jet skiing, and all kinds of fun excursions. 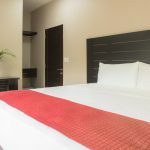 My husband and I had a two day stop on our honeymoon in Manuel Antonio and LOVED this hotel! The staff was wonderful (especially JC at the tiki bar. The room was immaculate (stayed top floor balcony which had a great view of the beach). Easy walk along the beach to restaurants and the national park.